Degustabox is a brilliant way to try out new and exciting food and drink products (including many from household names) so that you and your family can discover something different or try a product that you might have passed by in the supermarket. 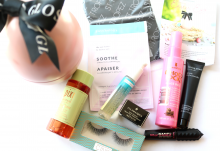 The contents of the Degustaboxes are always worth more than the monthly subscription fee compared to if you purchased the products individually, which makes it an affordable and fun experience for everyone involved! 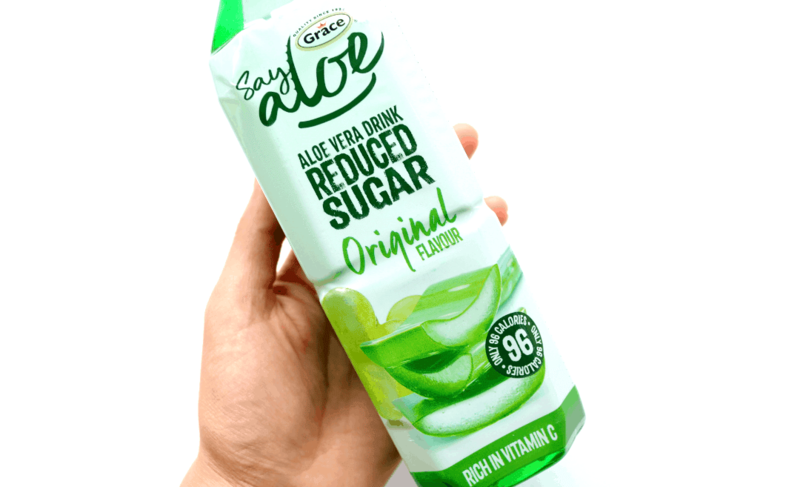 Aloe Vera juice is fast becoming a popular health drink, and you too can now reap the benefits with this Reduced Sugar Drink from Say Aloe. At only 96 calories per bottle, this Original Flavour drink is rich in Vitamin C and contains actual pieces of Aloe Vera for a real health boost. I really liked this – it’s very refreshing on a hot day! 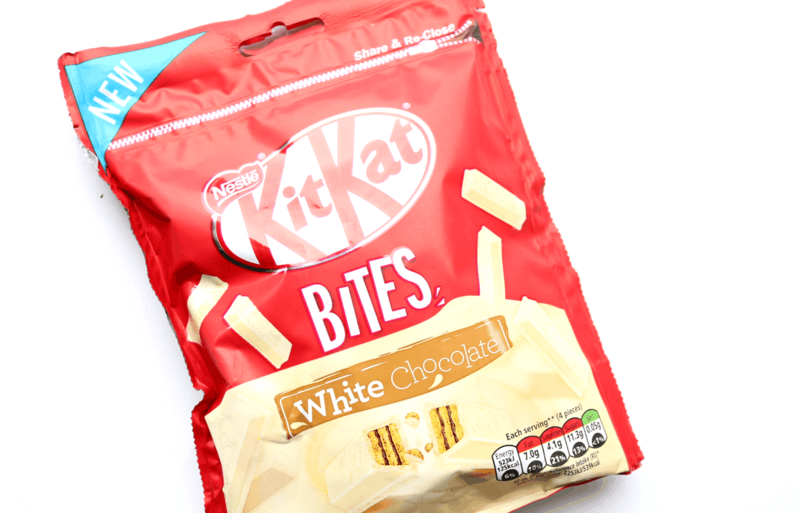 New from KitKat are these White Chocolate Bites which are, as the name suggests, bite-sized mini pieces of KitKats which have been generously coated in a creamy White Chocolate. Everyone in my house has been loving these! 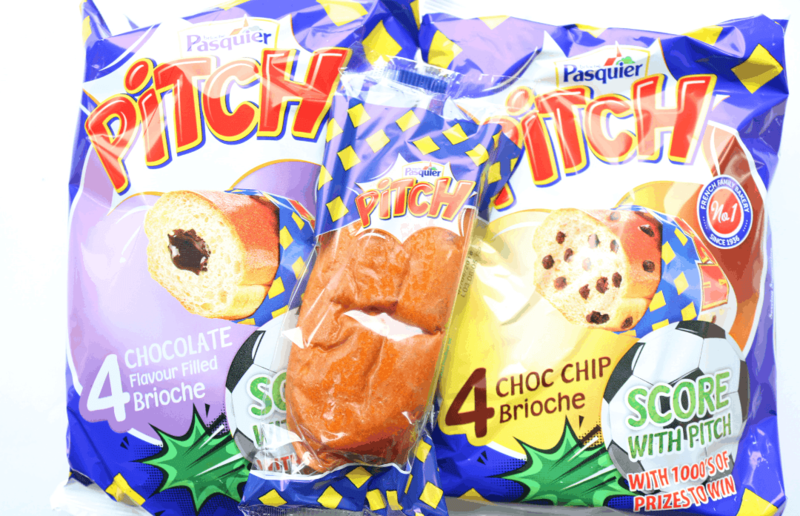 Next up, I found two bags from Brioche Pasquier Pitch and each bag contains four individually wrapped Brioches (one has a Chocolate filling, and the other is Chocolate Chip). Free from artificial colours and preservatives, they have a nice and soft consistency, and would be ideal for school lunchboxes and holiday trips. I’ve discovered some delicious products from Santa Maria Latin American Kitchen through past Degustaboxes, so I was thrilled to see these two products in this month’s box. 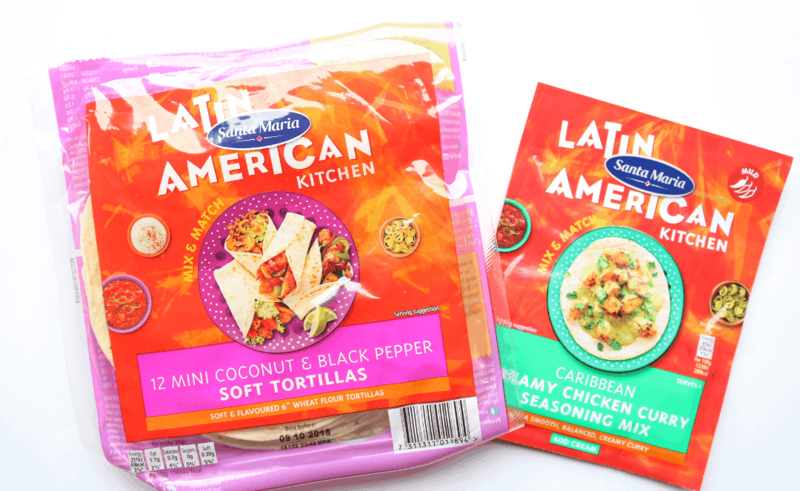 On the left is a pack of 12 Mini Coconut & Black Pepper Soft Tortillas which are really yummy and very versatile – you can use them to wrap up pretty much anything and I particularly like them as a lighter lunch alternative to a heavy sandwich. On the right is a packet of their Caribbean Creamy Chicken Curry Seasoning Mix which I tried last night with some Quorn Chicken Pieces, a can of Coconut Milk and lots of veggies – everyone loved it and it was packed full of flavour. 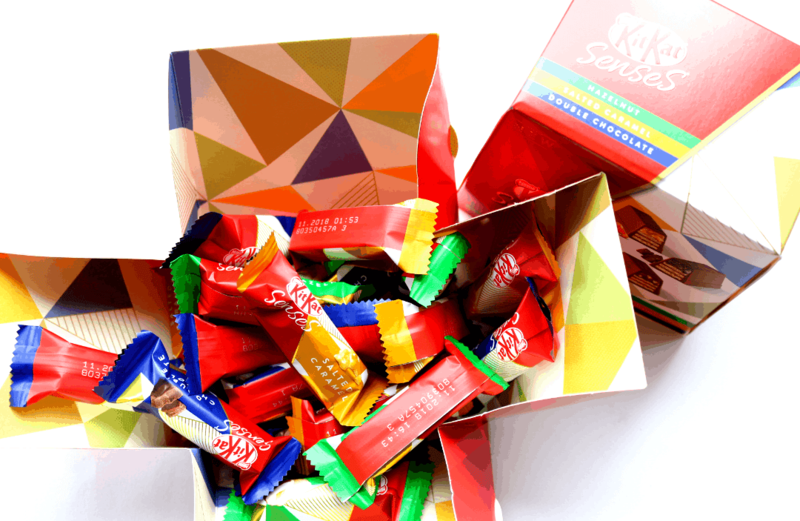 Also new from KitKat is this generously sized box of KitKat Senses – a mix of mini crispy chocolate wafers in a range of three flavours; Salted Caramel, Double Chocolate and Hazelnut. As you can see, these are individually wrapped so you could pop one (or two) into a lunchbox, or open up the whole box and share them with friends and family. It was hard picking which was my favourite flavour but I’d have to go with the Salted Caramel! 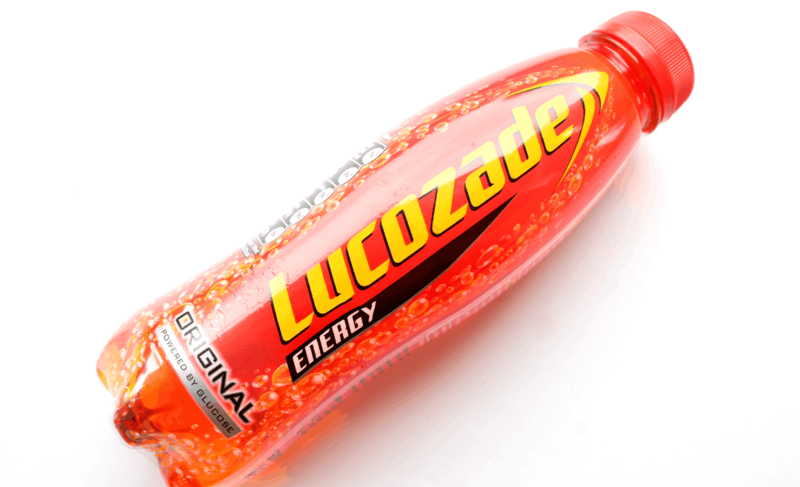 Next, I found a bottle of Lucozade in their much loved Original Flavour. I’m sadly not a fan of Lucozade, but I passed it onto one of my housemates and he loved it as he uses these as a post-gym drink to replenish his energy levels. How cute is the packaging of this bottle? 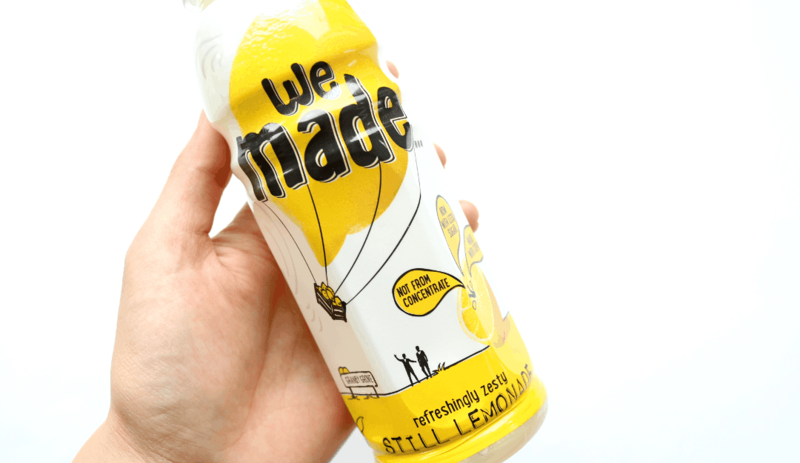 Created by We Made Lemonade, this still Lemonade drink is free from artificial colours, additives, flavours and preservatives, plus it’s free from refined sugar too – how great is that?! It tastes very refreshing and is something that I would definitely purchase again. 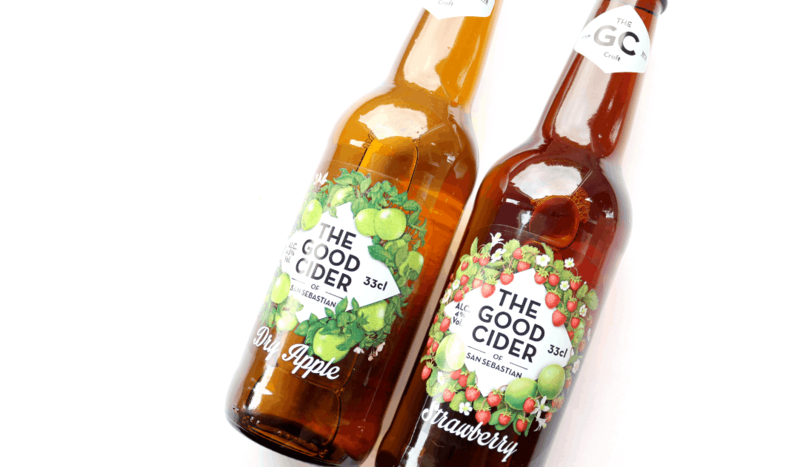 Degustabox offers two different types of boxes, a non-alcohol version and an alcohol one, so if you’ve signed up to the latter you’ll find two bottles of The Good Cider by San Sebastian in your box this month. The two flavours are Dry Apple and Strawberry, and both were very fruity and tasty. Perfect for the bank holiday weekend ahead! Special offer for All Subscription Box readers! Use the code ASB2018 to get a free bonus item (Smarties & Milkybar Mixed Mini Eggs worth £3) in your first Degustabox – enjoy! 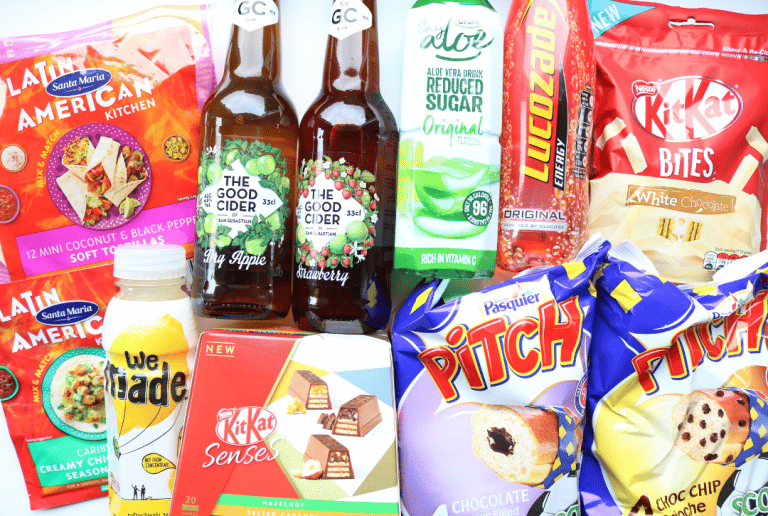 Another great box from Degustabox this month with lots of food and drink products to try out! My faves were the Santa Maria Latin American Kitchen products, The Good Cider and the KitKat Senses - yum!